In my experience, certain applications are easier to build and maintain when they are broken down into smaller, loosely coupled, self-contained pieces of logical business services that work together. Each of these services (a.k.a. microservices) manages its own technology stack that is easy to develop and deploy independently of other services. There are countless well-documented benefits of using this architecture design that have already been covered by others at length. That said, there is one aspect of this design that I always pay careful attention to because when I haven’t it’s led to some interesting challenges. While building loosely coupled microservices is an extremely lightweight and rapid development process, inter-services communication models to share state, events and data between these services is not as trivial. The easiest communication model I have used is direct inter-service communication. However, as explained eloquently by Fernando Dogio, it fails at scale — causing crashed services, retry logics and significant headaches when load increases — and should be avoided at all costs. Other communication models range from generic pub/sub to complex Kafka event streams, but most recently I have been using Redis for communication between microservices. With Redis, I have always easily implemented pub-sub patterns. But now that the new Streams data type is available with Redis 5.0, we can model a log data structure in a more abstract way — making this an ideal use case for time series data (like a transaction log with at-most-once or at-least-once delivery semantics). Along with Active-Active capabilities, easy and simple deployment, and in-memory super fast processing, Redis Streams is a must-have for managing microservices communication at scale. The basic pattern is called Command Query Responsibility Segregation (CQRS). It separates the way commands and queries are executed. In this case commands are done via HTTP, and queries via RESP (Redis Serialization Protocol). 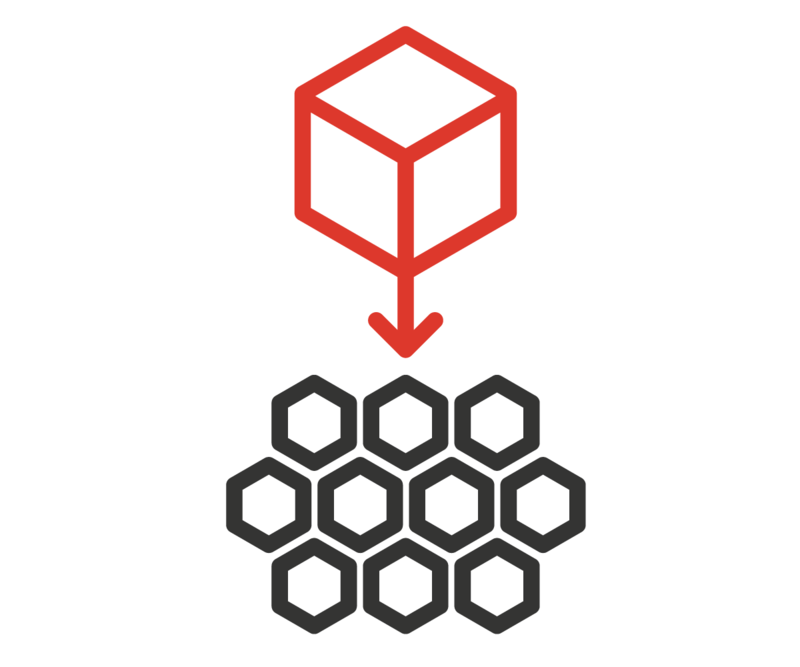 Let’s use an example to demonstrate how to create an event store with Redis. I created an application for a simple, but common, e-commerce use case. When a customer, an inventory item or an order is created/deleted, an event should be communicated asynchronously to the CRM service using RESP to manage OrderShop’s interactions with current and potential customers. Like many common application requirements, the CRM service can to be started and stopped during runtime without any impact to other microservices. This necessitates that all messages sent to it during its downtime be captured for processing. The following diagram shows the inter-connectivity of 9 decoupled microservices that use an event store built with Redis Streams for inter-services communication. They do this by listening to any newly created events on the specific event stream in an event store, i.e. a Redis instance. By listening to the domain events and keeping the entity cache up to date, the aggregate functions of the event store has to be called only once or on reply. Below are some sample test cases from client.py, along with corresponding Redis data types and keys. I chose the Streams data type to save these events because the abstract data type behind them is a transaction log, which perfectly fits our use case of a continuous event stream. I chose different keys to distribute the partitions and decided to generate my own entry ID for each stream, consisting of the timestamp in seconds “-” microseconds (to be unique and preserve the order of the events across keys/partitions). I choose Sets to store the IDs (UUIDs) and Lists and Hashes to model the data, since it reflects their structure and the entity cache is just a simple projection of the domain model. The wide variety of data structures offered in Redis — including Sets, Sorted Sets, Hashes, Lists, Strings, Bit Arrays, HyperLogLogs, Geospatial Indexes and now Streams — easily adapt to any data model. Streams has elements that are not just a single string, but are objects composed of fields and values. Range queries are fast, and each entry in a stream has an ID, which is a logical offset. Streams provides solutions for use cases such as time-series, as well as streaming messages for other use cases like replacing generic Pub/Sub applications that need more reliability than fire-and-forget, and for completely new use cases. Because you can scale Redis instances through sharding (by clustering several instances) and offer persistence options for disaster recovery, Redis is an enterprise-ready choice. Please, feel free to reach out to me with any questions or to share your feedback.